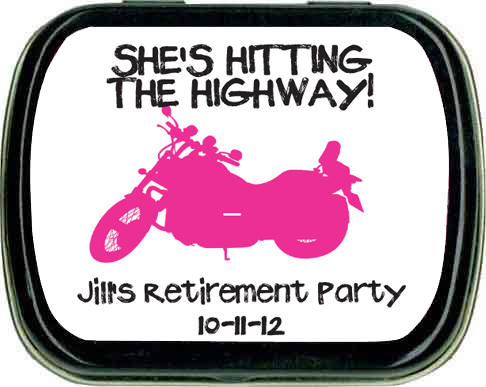 These motorcyle mint tins are unique personalized favors for biker parties of many types! 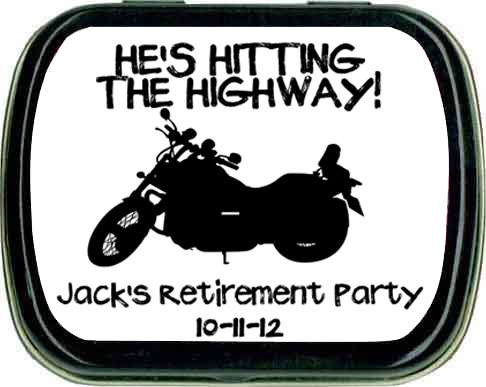 Whether its a biker fundraiser ride, retirement or birthday motorcycle event, this is a unique way to say thanks to the guests of your special celebration. 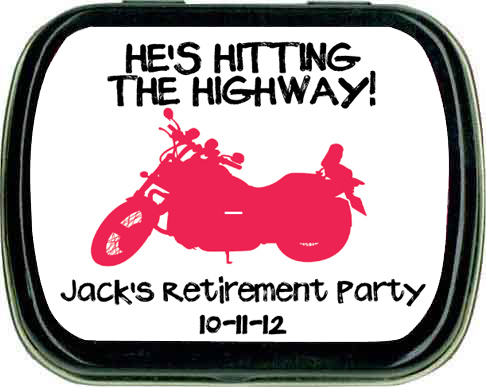 The outside of the tin has a motorcycle theme party design with a personalized label and will look great on a tin in white or black. 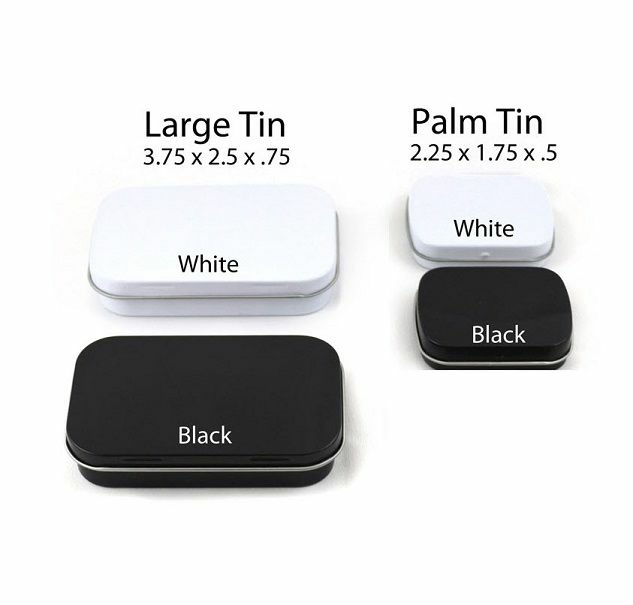 The inside contains refreshing candy of your choice. 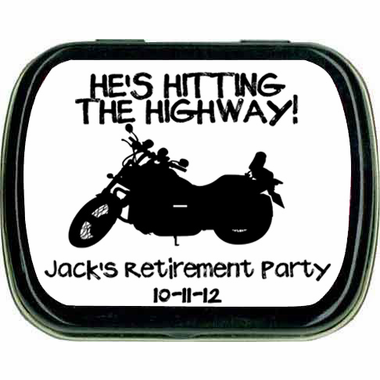 These personalized favors would be perfect for biker parties, motorcycle theme birthday party, motorcycle event favors and especially a unique favor as a motorcycle theme wedding, anniversary or retirement party for the biker(s) you celebrate! 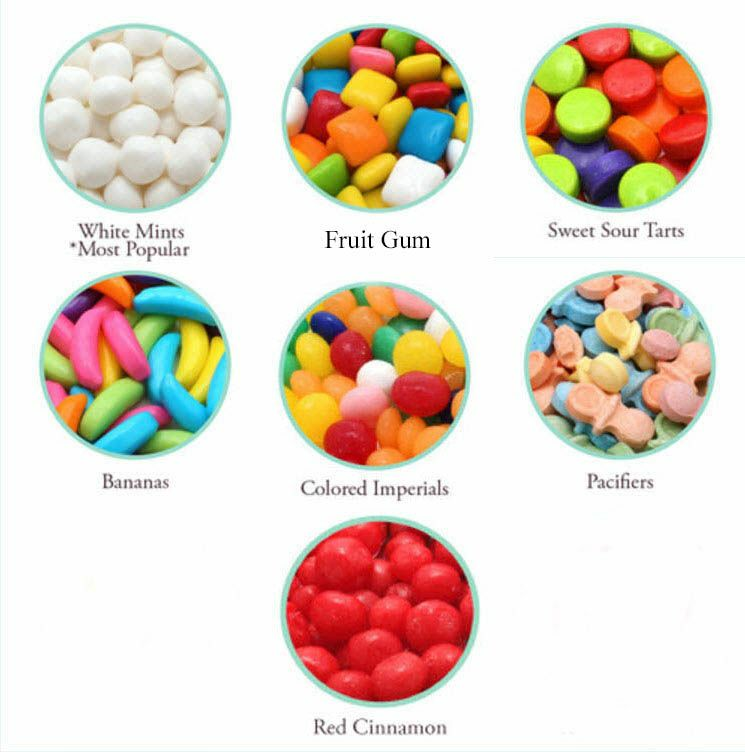 We get great feedback about these favors. Guests ALWAYS love them.